Most of us believe that self-denial for a season is good for our soul. It reassures us that we are not locked into self-satisfaction and it encourages us to aspire to higher values. But committing to self-denial for the 40 days of Lent needs a determined mindset and a calling to something higher. 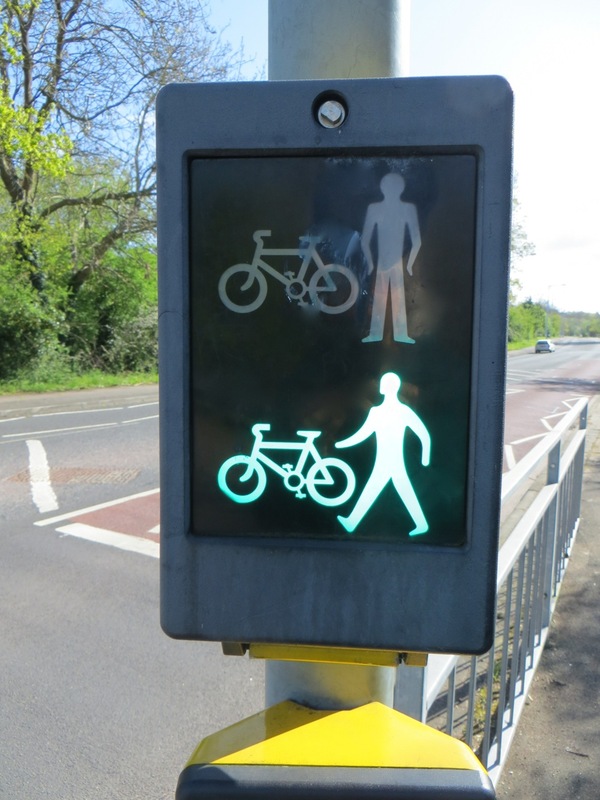 Getting up at 6.00am daily through the season of Lent to pray and walk round our neighbourhood was my husband’s calling, not mine. However, I found I could not stay at home under the comfort of the duvet while he set off into the frosty dawn. I knew the experience would be significant for him and I didn’t want to miss out. So I joined him. Ours is a middle class neighbourhood with 49 streets set out in three regions. Our church congregation meets in the primary school building right in the middle. Generally people here lead independent and self sufficient lives. Everything appears peaceful in the dawn light. And yet we know that behind the locked doors, the shadow side of these traits is loneliness and vulnerability. Each morning we started by reading scripture then asking God to guide our eyes, ears, thoughts and prayers as we walked. Philip Yancey, when he prays for others, asks God to open his eyes to see that person as God sees them, and then to enter into the stream of love that God already directs toward them. To give our prayers a framework we used the Caleb Prayer written by Roy Godwin at Ffald-y-Brenin in Wales. His book, The Grace Outpouring – Blessing others through prayer tells his amazing story of God working in sovereign power on people who weren’t even sure he existed. Have mercy on our Land. Send the Holy Spirit for the sake of the children. May your kingdom come to our nation. Day by day the scene around us changed. The frost lifted and splashes of colour appeared everywhere; daffodils, magnolia, cherry blossom. Almost overnight the trees became green. It felt humbling and inspiring to witness the power and glory of Spring unfolding around us. And so we arrive at Easter Day – the day when everything changed. Our 40 days of prayer walking is over. It has been a journey of sacrifice and discovery for us. We look to see what God is doing in our community and what role we can play in bringing others to awareness of what can happen when Jesus makes his home in us. So, our Easter celebration is over. We are released from the self-discipline of Lent. Now we can reflect on what the resurrection of Jesus means to us as we move back into our normal routines. Doubts, disappointments and numbness can begin to creep in. I discovered that the first Sunday after Easter is called Low Sunday or St Thomas Sunday, named after the apostle Thomas who declared he could not believe in the resurrection of Jesus unless he could see the nail marks in his hands for himself. Thomas speaks for many of us who need help to believe and to know what the resurrection means for us. 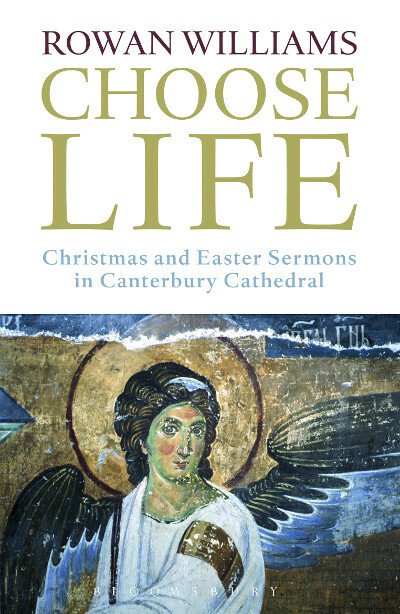 In my explorations about what Life to the Full might be I discovered Choose Life, the collection of Rowan Williams’ Easter and Christmas Sermons given in Canterbury Cathedral during his time as Archbishop of Canterbury. The sermons are inspiring. Each from a different perspective, and each sharing Rowan Williams’ incredible learning and knowledge. He leads us into layers of understanding about what life is and what it can be. The first one to catch my eye is called Happiness or Joy, delivered in Easter 2011. Rowan Williams suggests that the deepest happiness is something that creeps up on us when we are not looking. He goes on to explore what he calls authentic happiness or joy. To do this he takes us to the beginning of the resurrection story in John chapter 20:1-10 where the disciples are in the midst of shock, amazement and utter disorientation. As Jesus appears they are jolted out of everything that was familiar to them into a disturbing new world where even death is not what they thought it was, and so anything is possible. Jesus’ presence would bring alarming uncertainty. Hope mixed with terror. And yet we are told that the disciples were filled with joy. There is important information in this. Authentic happiness does not take away the reality of threat or risk of suffering. One of the hardest things to take hold of is knowing that we can we feel happy in a world so full of atrocity and injustice. (page 194) Authentic happiness is not about feeling cheerful, or putting on a brave face. It is . . . This is what having Life to the Full is about! It does not come from our own efforts or will power. It comes from being connected to a reality and strength that is outside of our own efforts. Christian joy, the joy of Easter, is offered to the world not to guarantee a permanently happy society in the sense of a society free of tension, pain or disappointment, but to affirm that whatever happens in the unpredictable world . . . there is a deeper level of reality, a world within a world, where love and reconciliation are ceaselessly at work, a world with which contact can be made so that we are able to live honestly and courageously with the challenges constantly thrown at us. This is not a theoretical idea for our passive engagement. Rowan Williams suggests two clear ways that we can actively support our own authentic happiness. When we do these things we can find ourselves after Easter, like the disciples, with our world turned upside down and joy made possible.